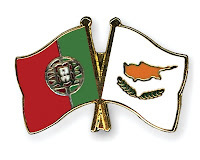 Following the removal of Cyprus from the Portuguese “black list”, on 19 November 2012 the representatives of Cyprus and Portugal have concluded and signed a Double Tax Treaty. The removal of Cyprus from the “black list” and the singing of the double tax treaty between the two countries provide new opportunities in efficient and effective tax planning in doing cross border business for both Portuguese and Cypriot enterprises. Find more information on Cyprus Tax.